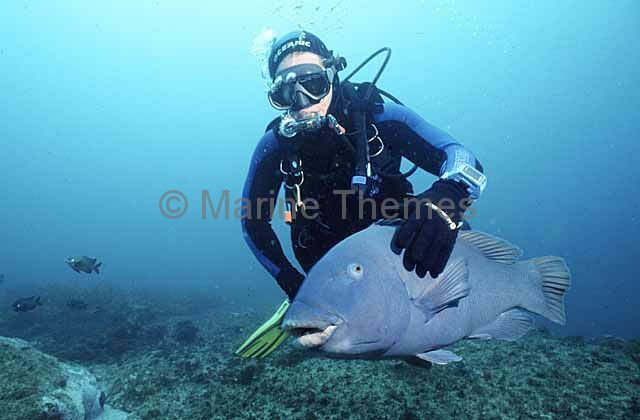 Eastern Blue Groper (Achoerdodus viridis) with diver. 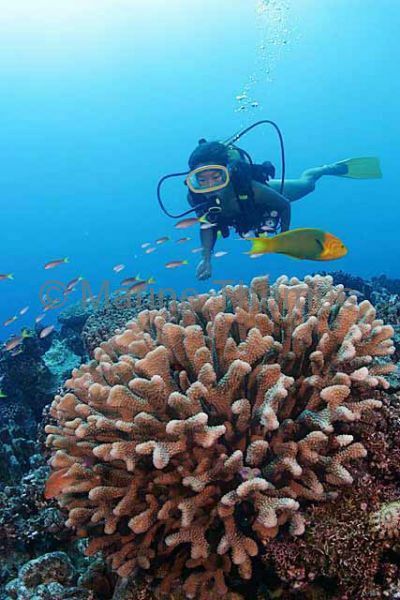 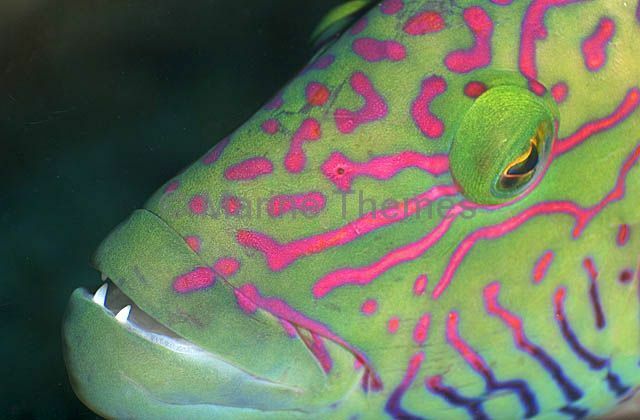 Sunset Wrasse (Thalossoma lutescens) over Cauliflower Coral (Pocillopora meandrina) with diver. 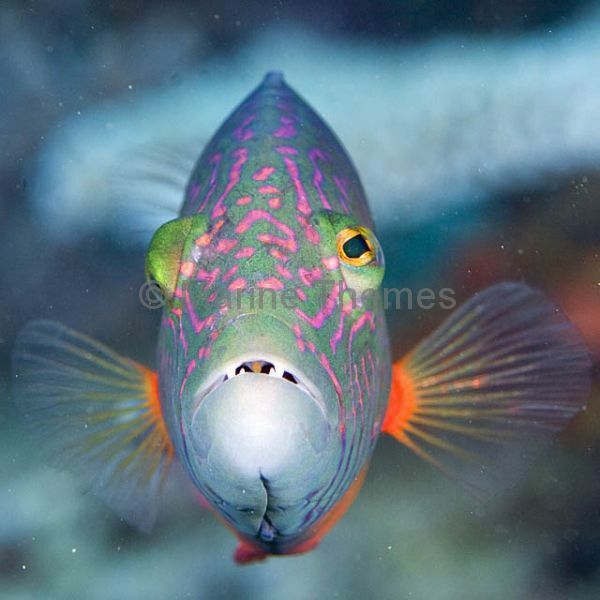 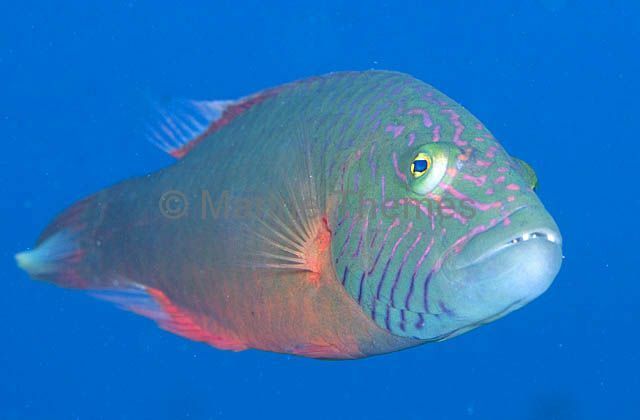 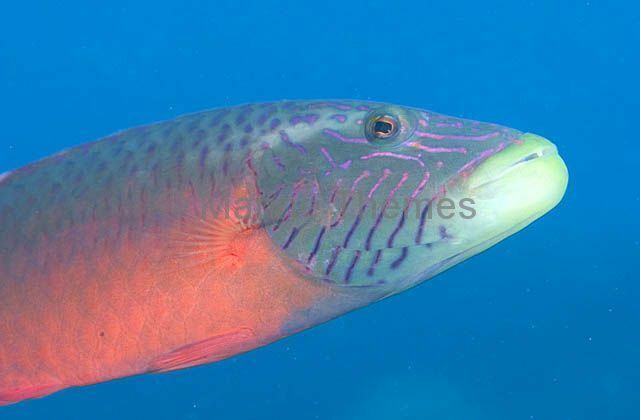 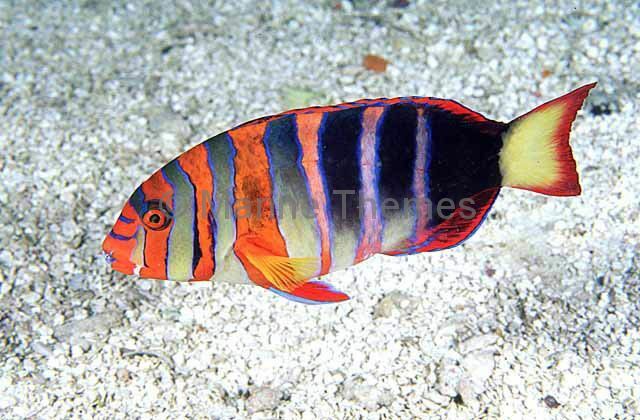 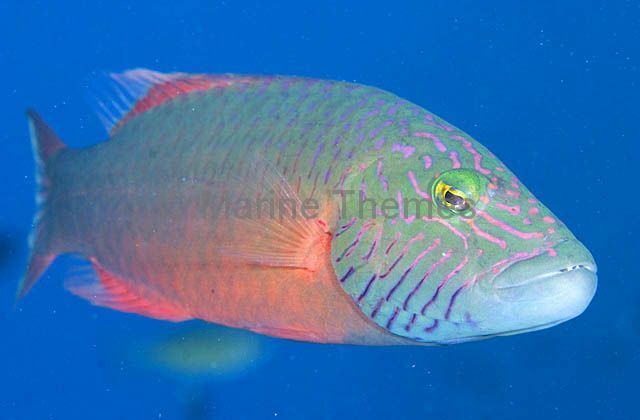 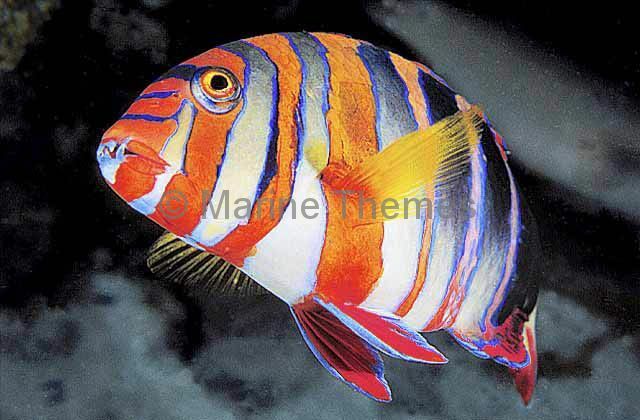 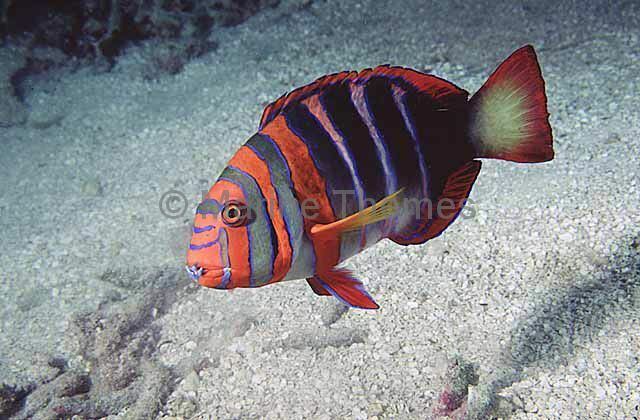 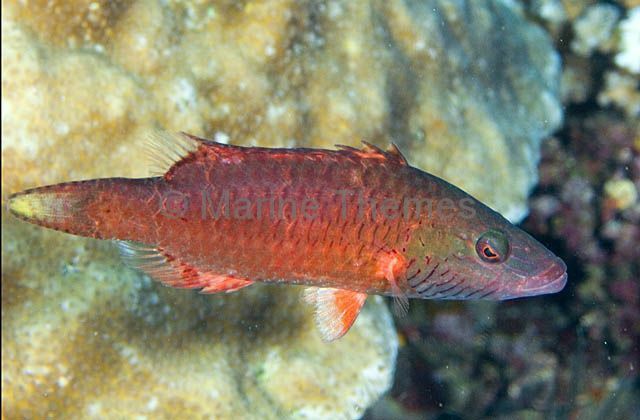 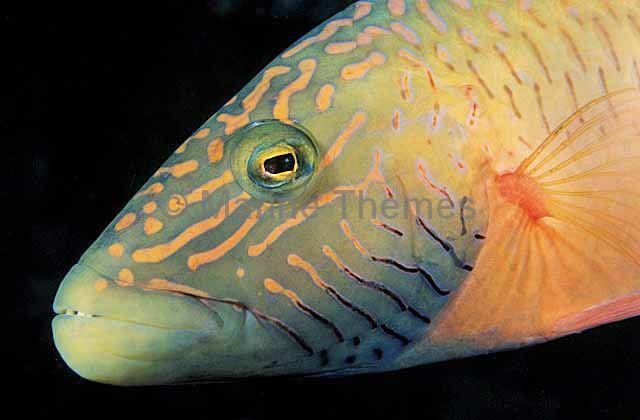 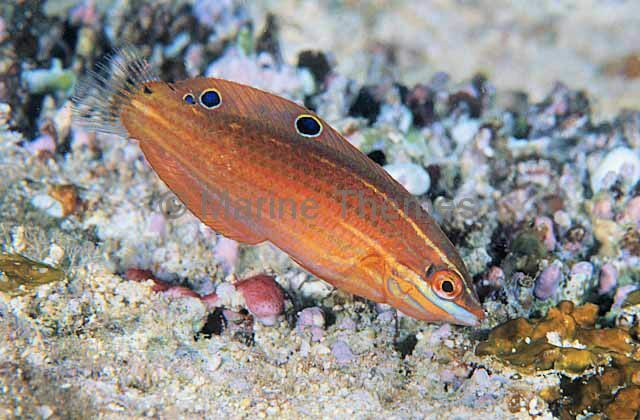 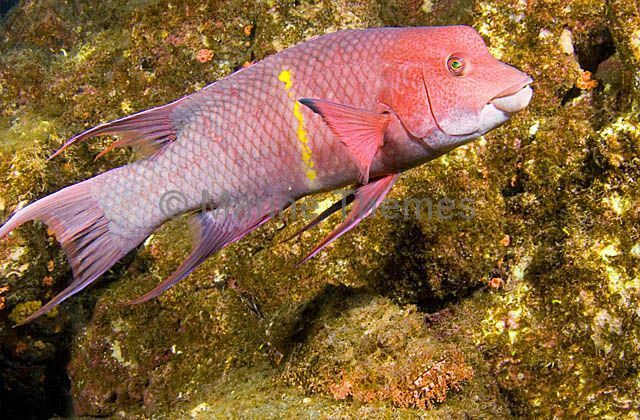 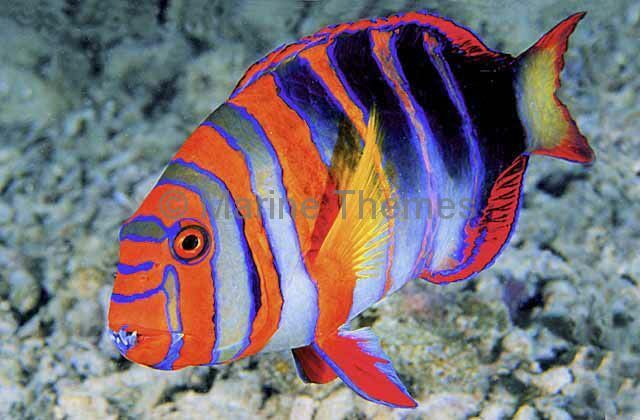 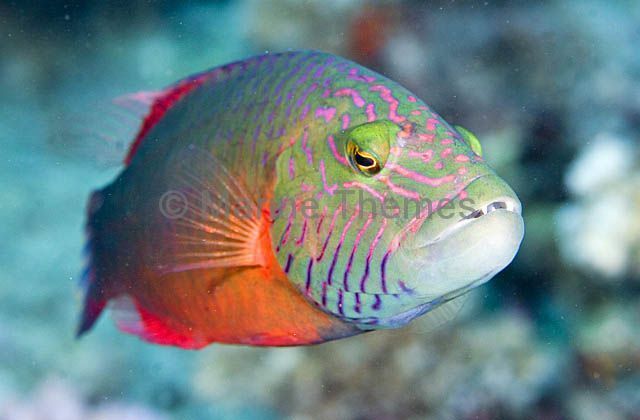 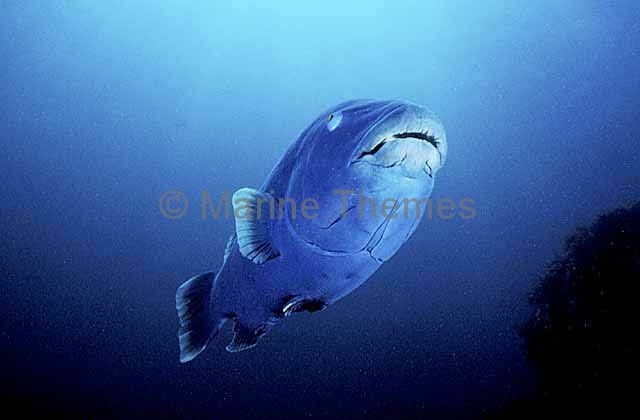 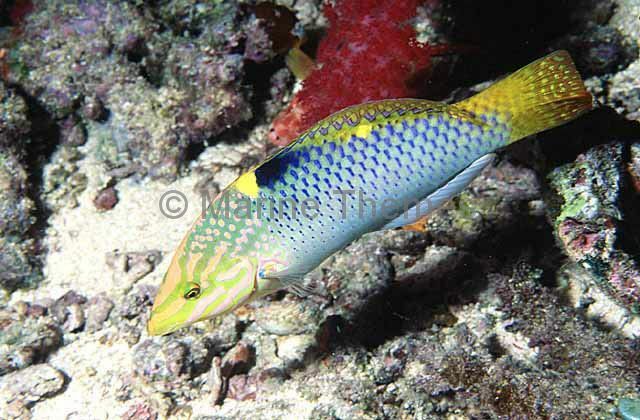 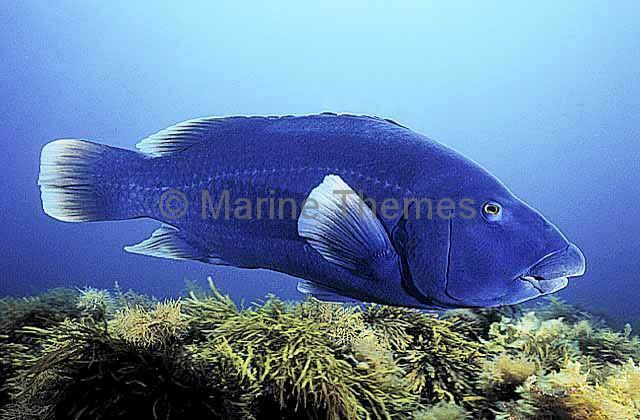 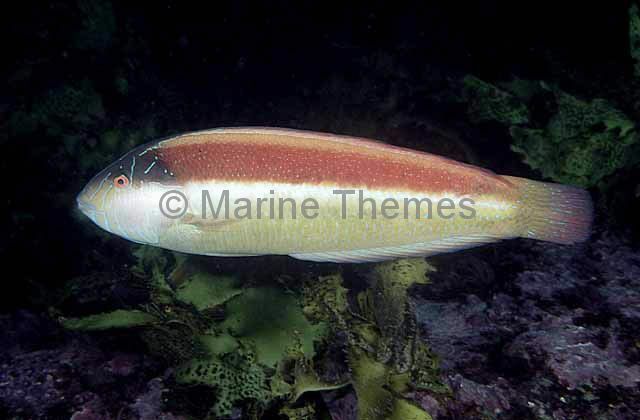 Cheeklined Maori Wrasse (Cheilinus diagrammus) portrait.